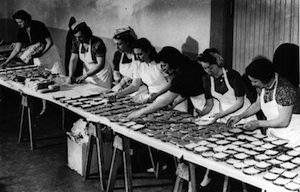 The trend of presidential cookies and cereal boxes and what-not couldn't end sooner. But this artwork, American Cheese by Esteban Pulido, could have some better uses beyond trendy political foodstuffs. 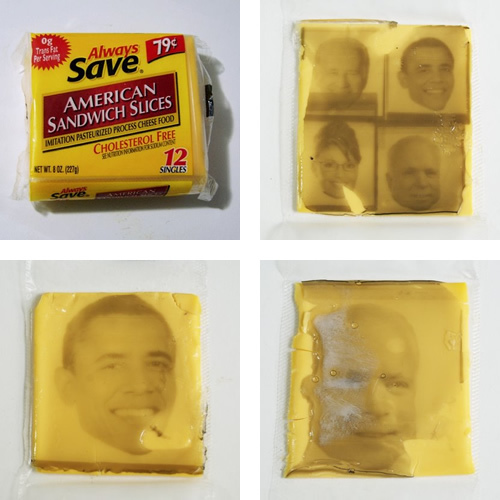 Photo-printing onto food: "Slices of American cheese with liquid photo sensitive emulsion processed in a darkroom with traditional black and white photography chemicals." American Cheese will be at Forward Foods in Norman, OK until Election Day, November 4th.